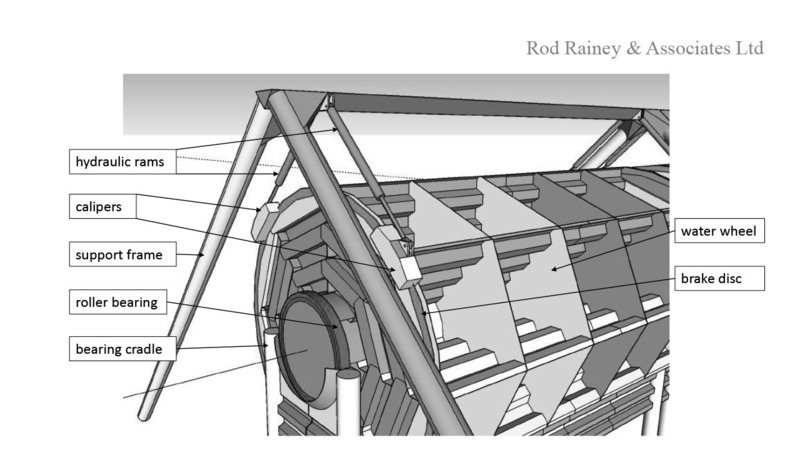 The barrage features high-efficiency breastshot-wheel turbines, with hydraulic power transmission. 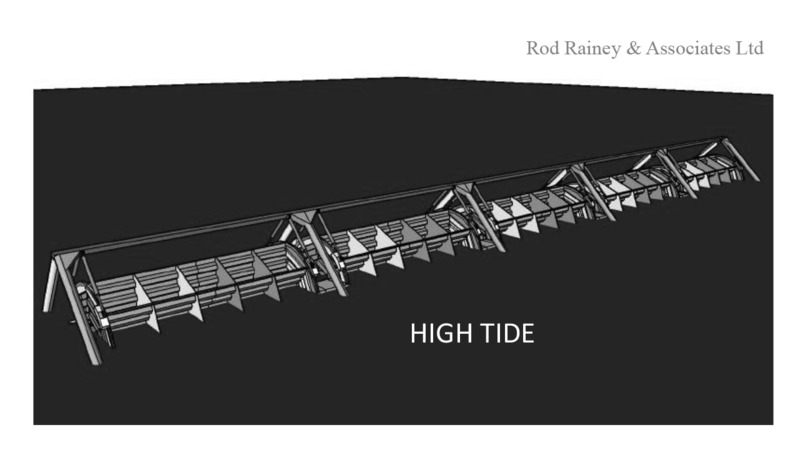 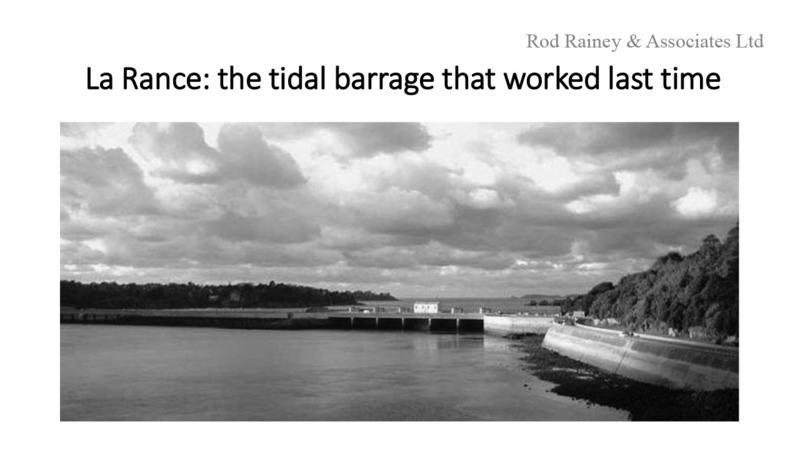 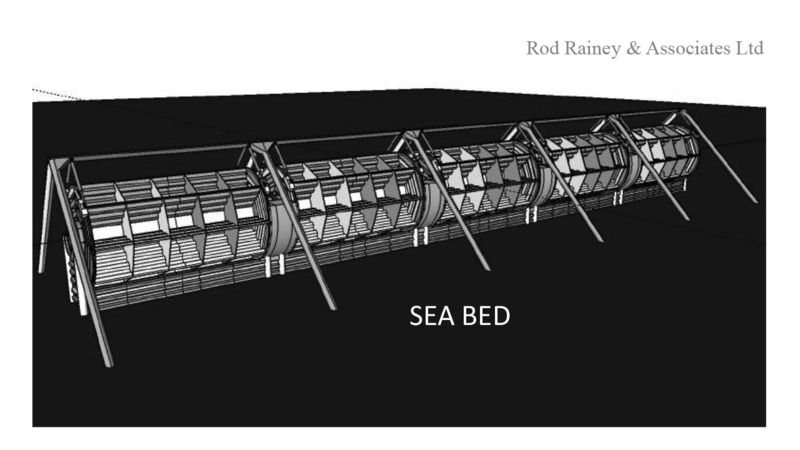 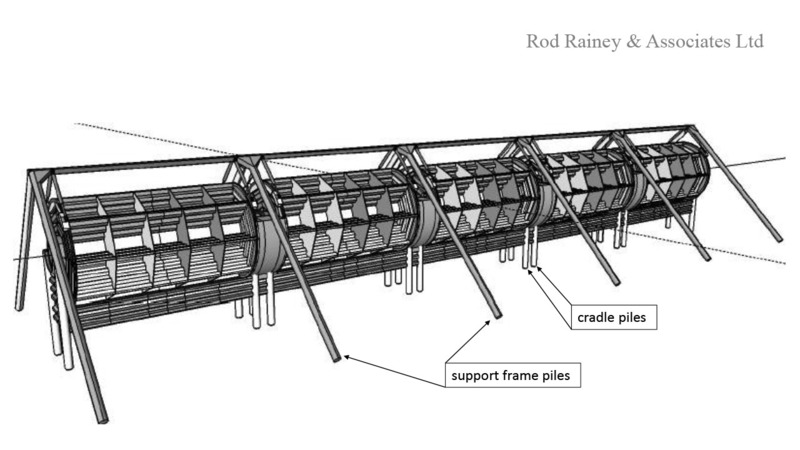 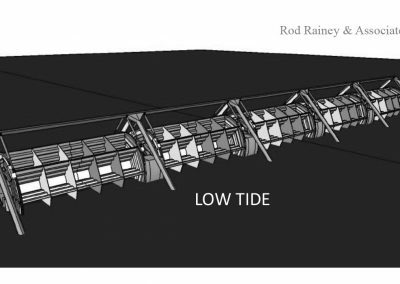 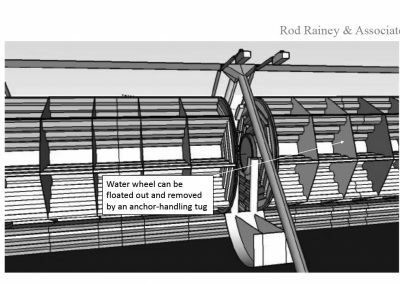 To prove the technology, a single 50m long segment of the barrage could be built as a free-stream tidal turbine. 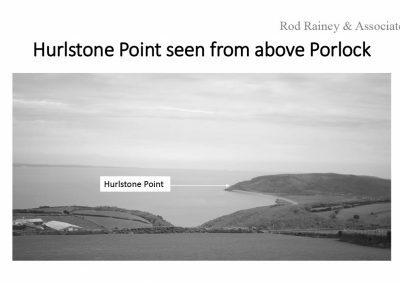 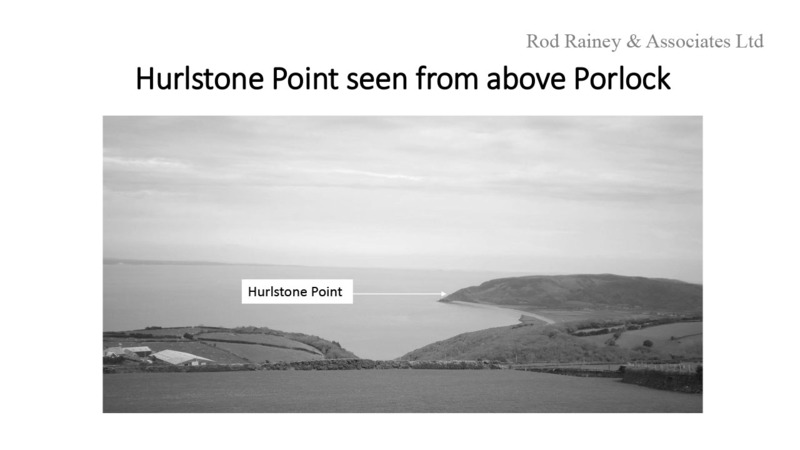 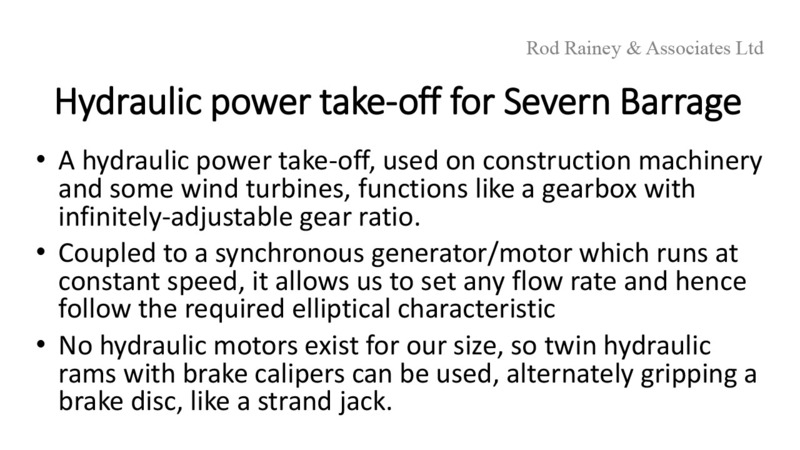 It would deliver a maximum power of 2MW at the Porlock site, and have comparable economics to a floating wind turbine. 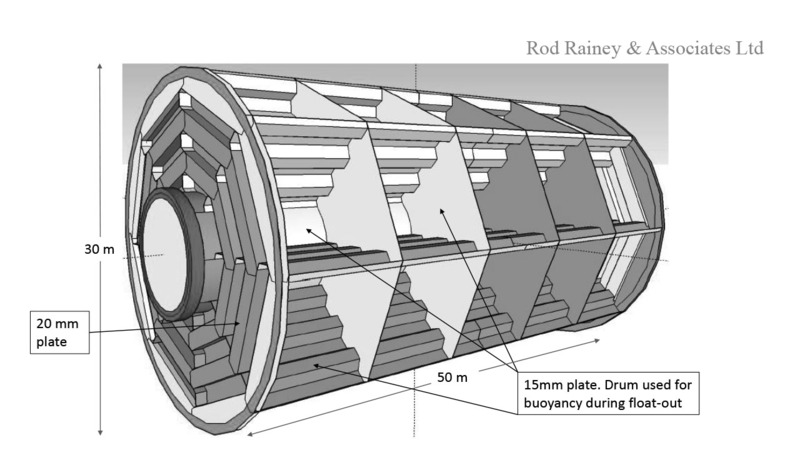 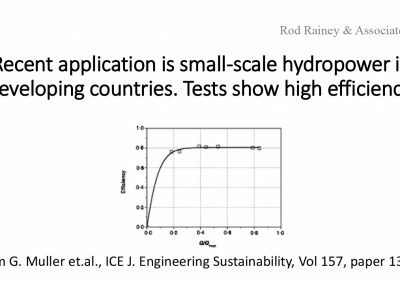 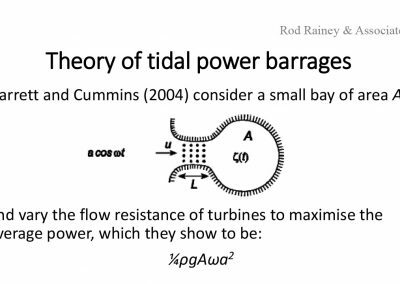 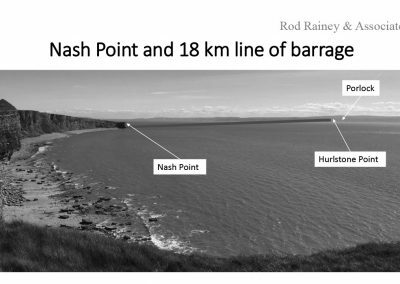 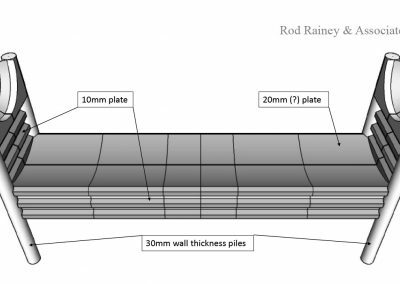 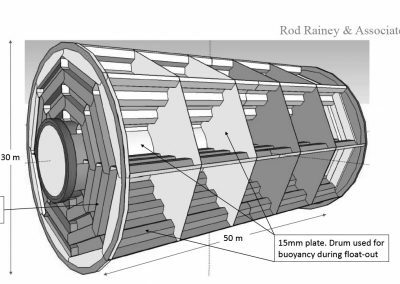 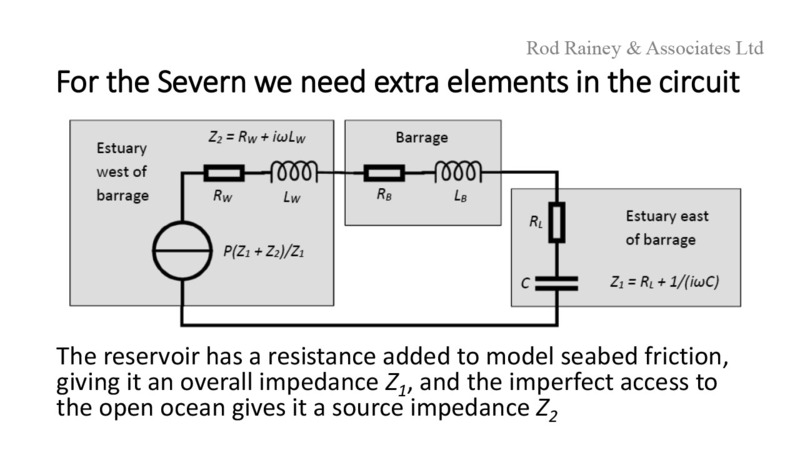 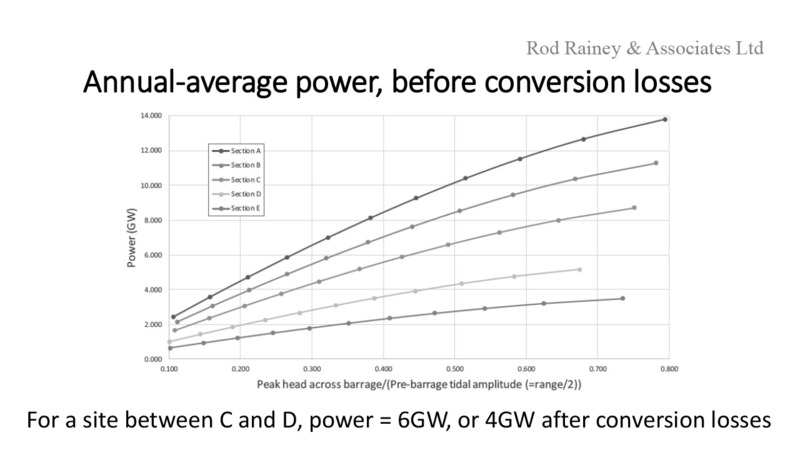 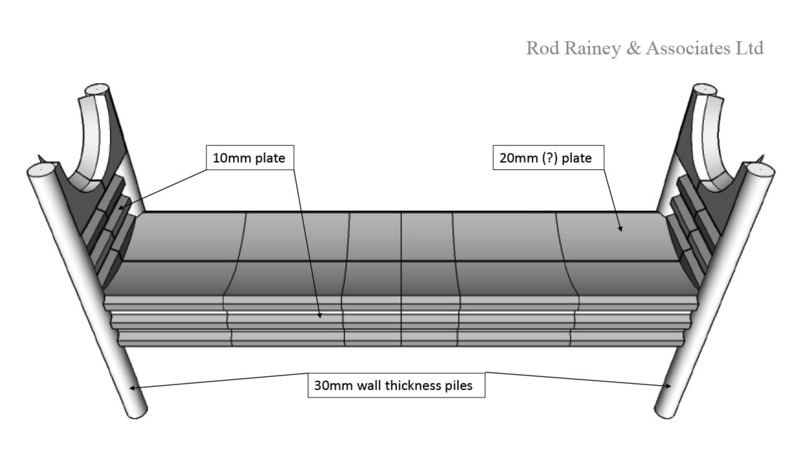 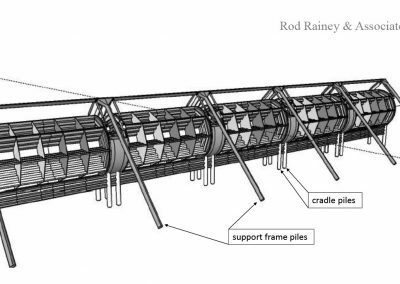 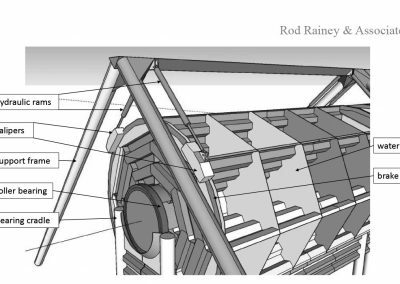 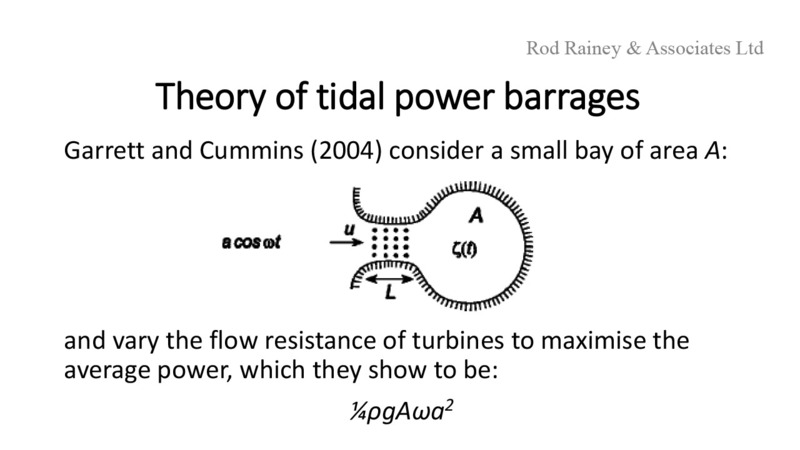 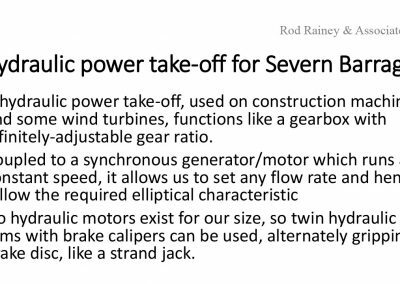 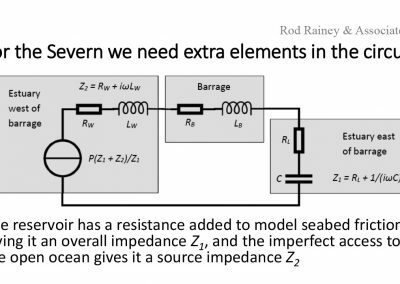 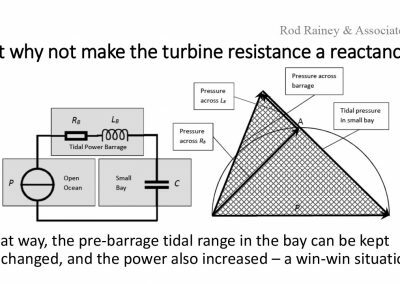 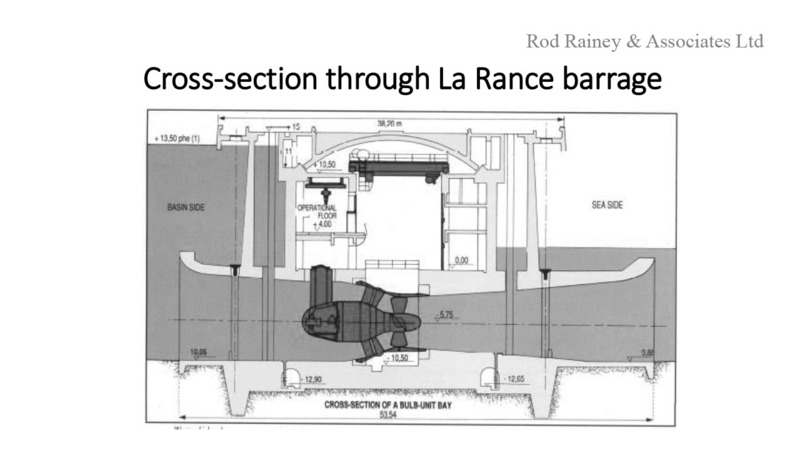 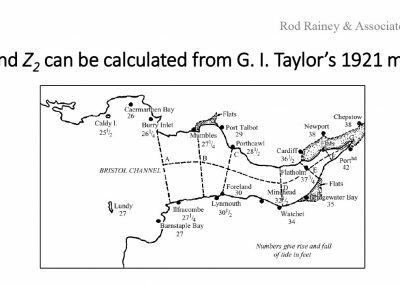 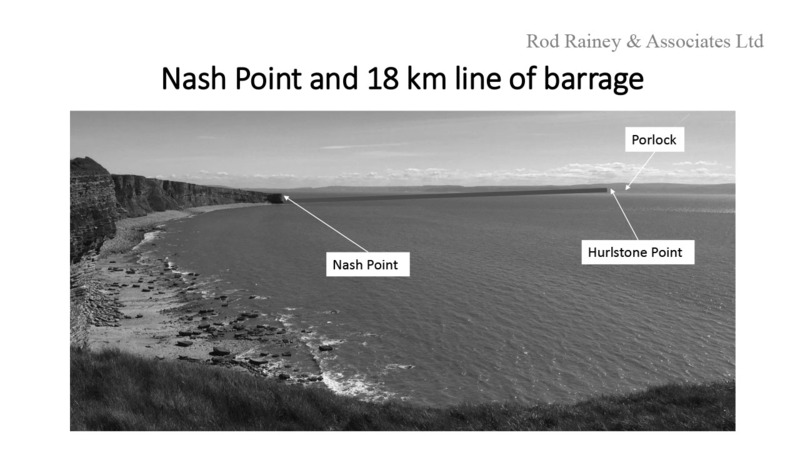 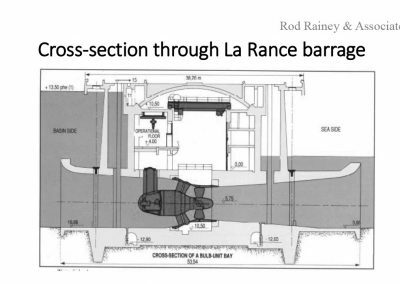 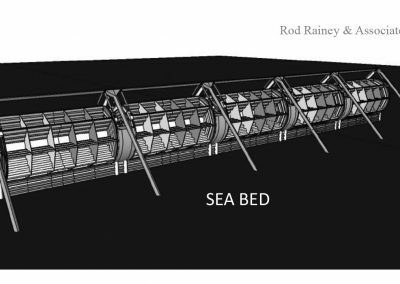 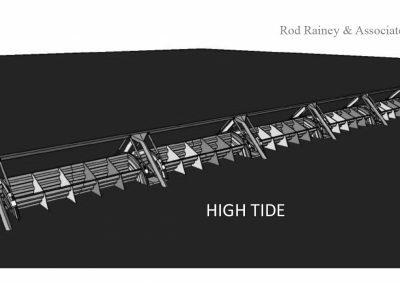 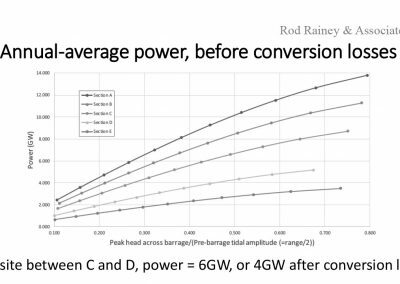 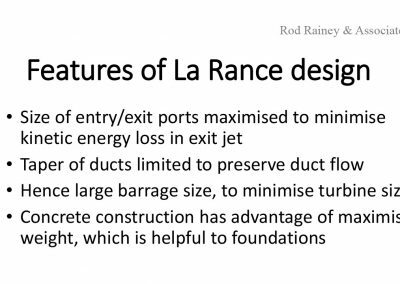 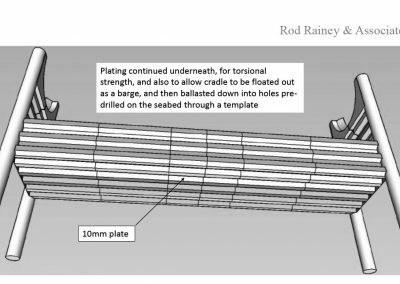 Details of the scheme are given in a paper “Lightweight steel tidal power barrages with minimal environmental impact: application to the Severn Barrage” by Rod Rainey, published in January 2018 in the Proceedings of the Royal Society, Vol. 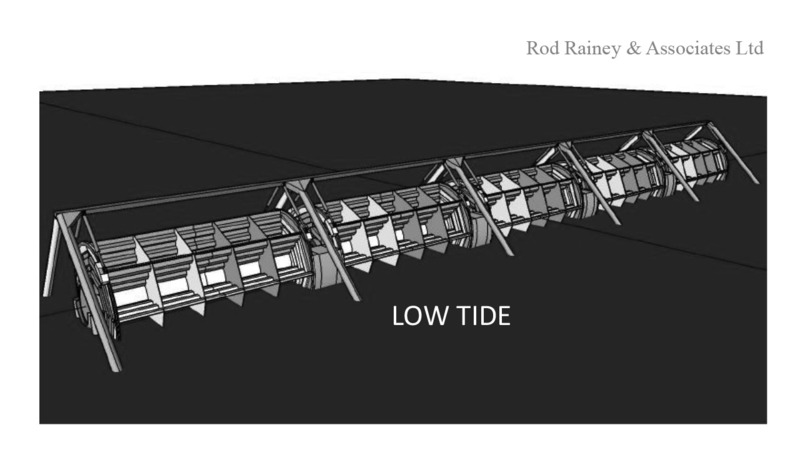 A474. 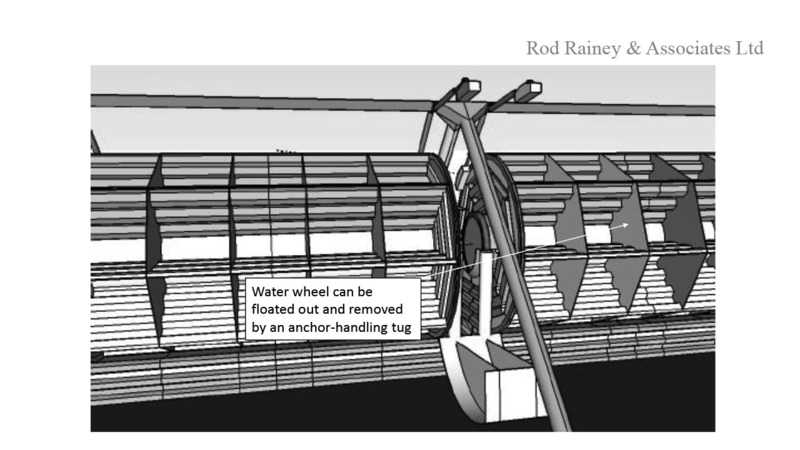 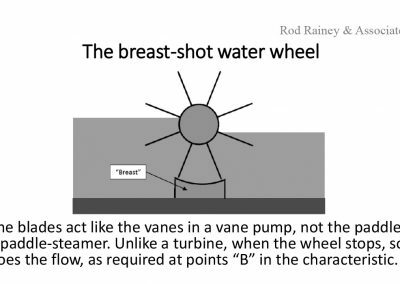 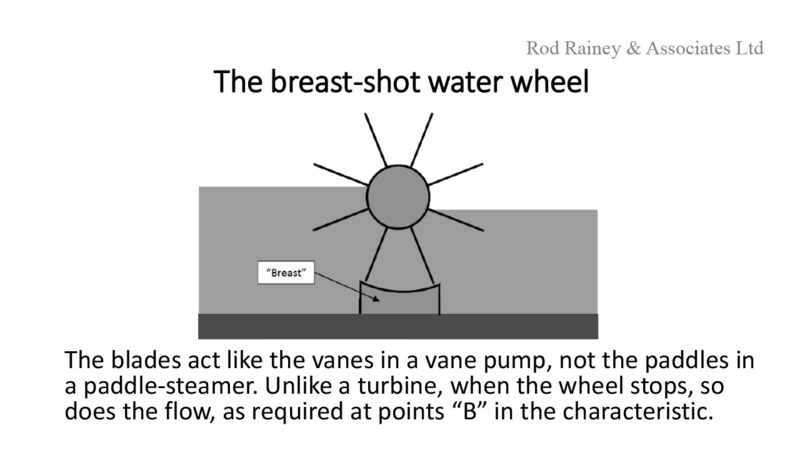 It is explained there how breastshot-wheel turbines with hydraulic power transmission can be used, so as to maintain the tidal range upstream of the barrage at pre-barrage values, minimizing the environmental impact and maximizing the power. 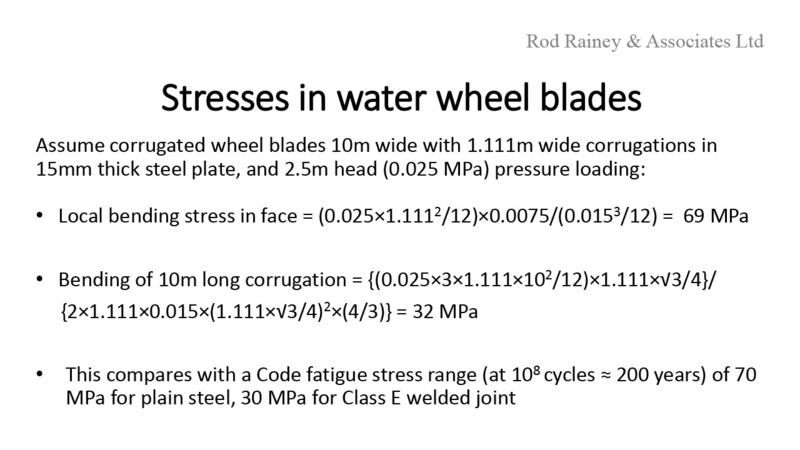 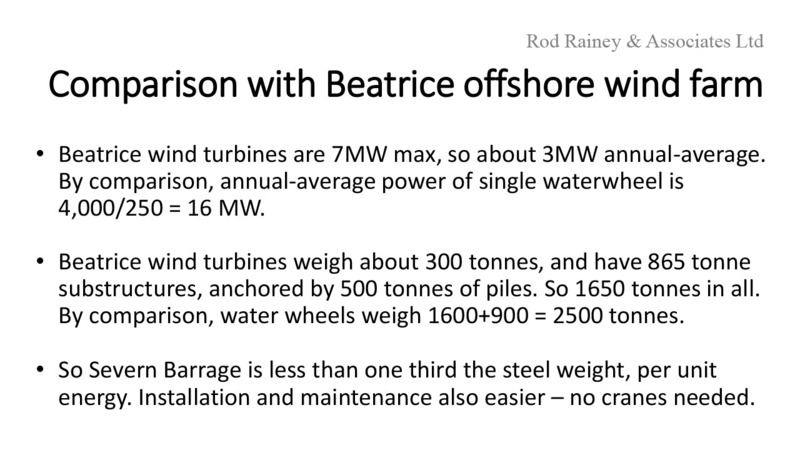 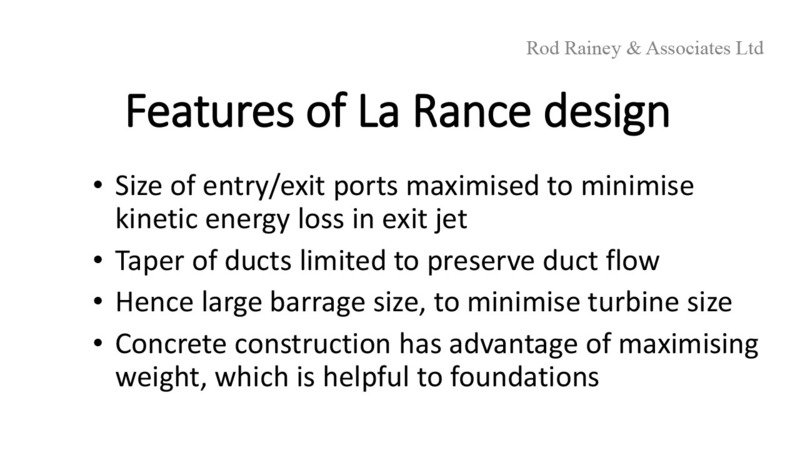 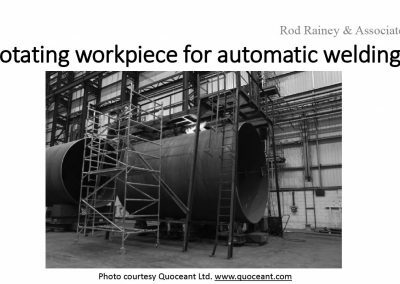 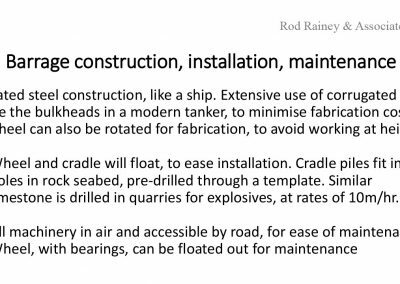 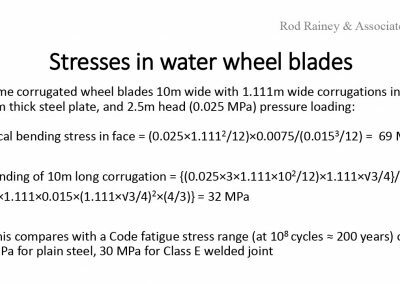 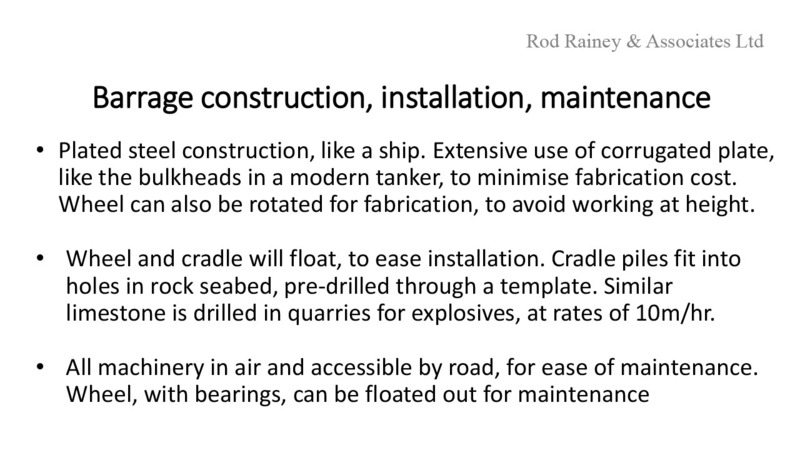 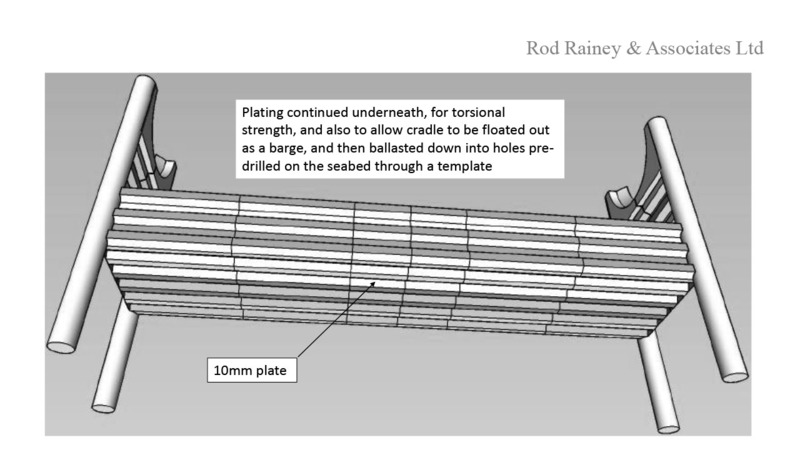 And how the barrage and turbines can be built in steel plate, using shipbuilding technology. 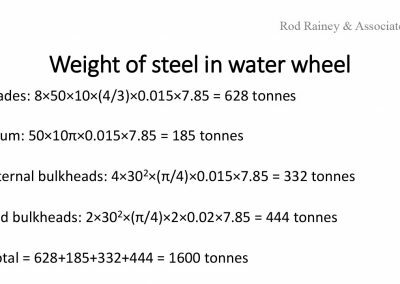 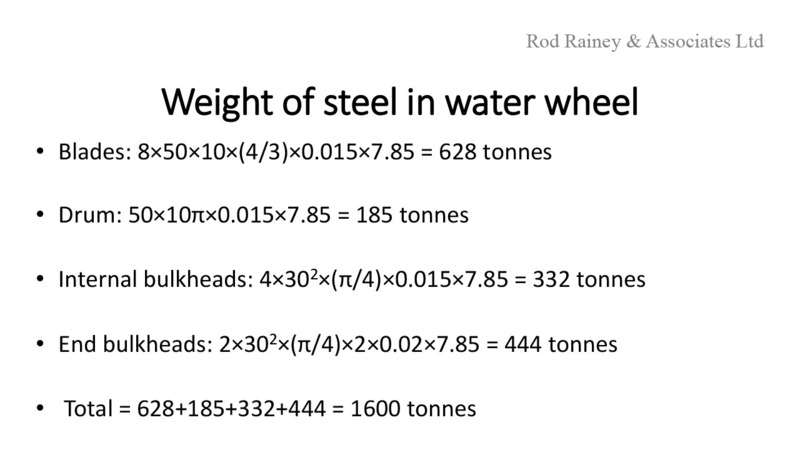 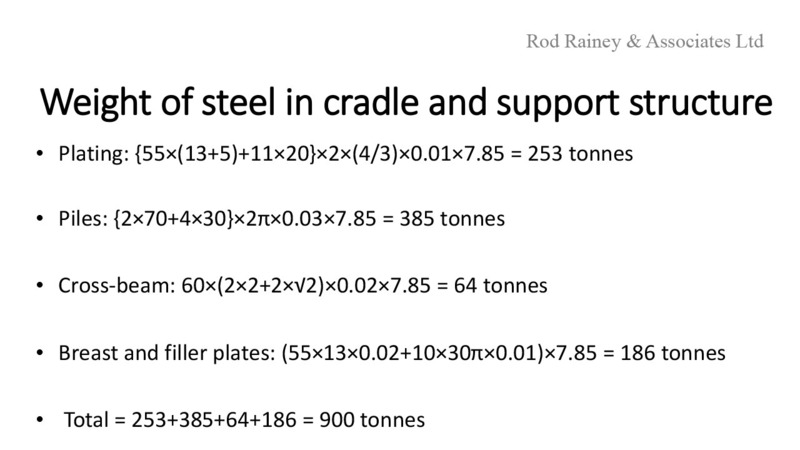 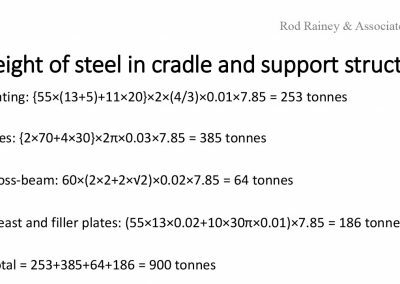 Calculations are given of the weight of steel required, per TWh/yr energy output. 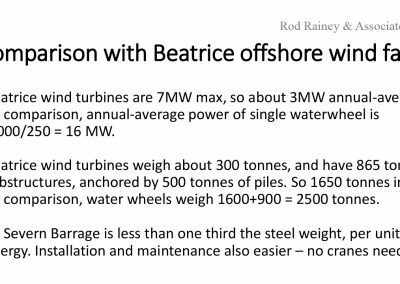 They are shown to compare very favourably with the figures for the Beatrice offshore wind farm, now under construction north of Inverness. 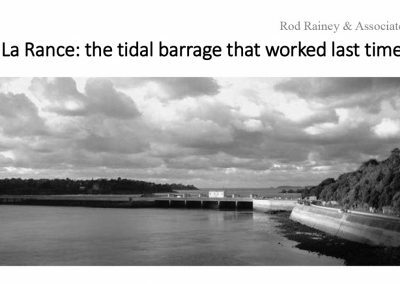 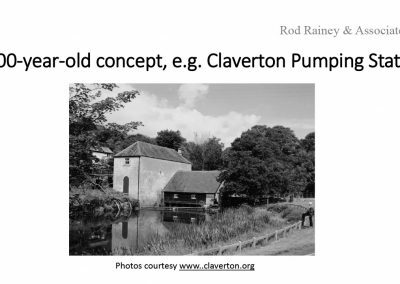 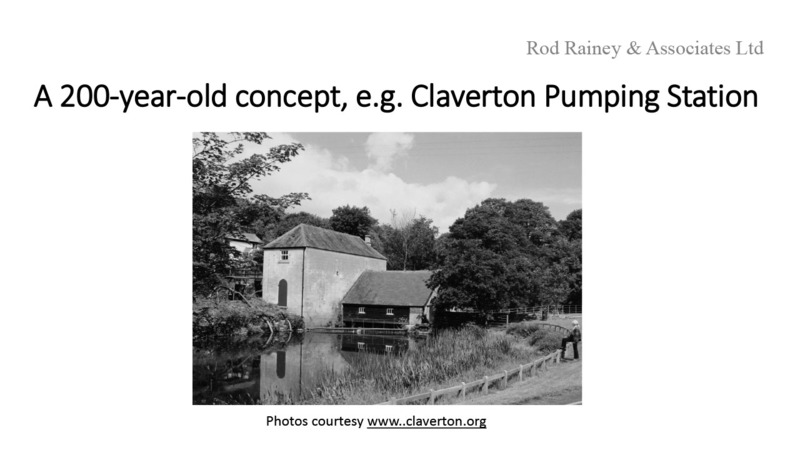 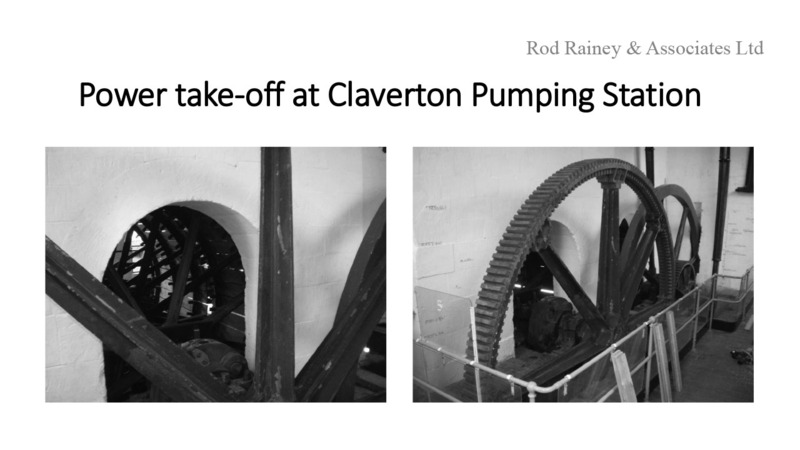 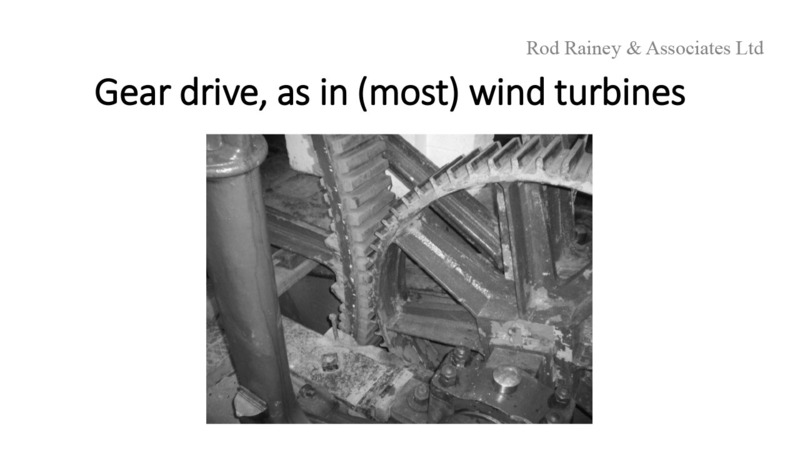 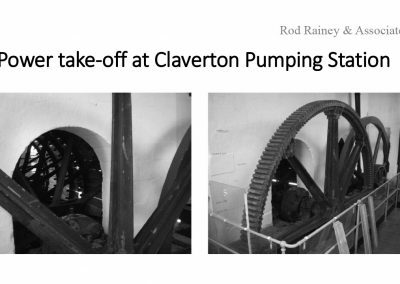 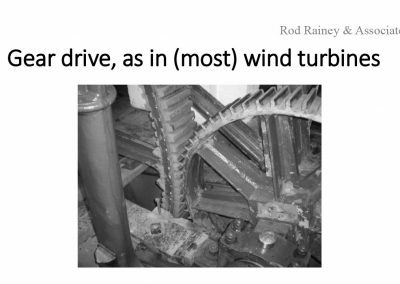 The paper was featured in an article “The wheel turns” in the 3 rd February 2018 issue of The Economist, and an article “The Severn Barrage Revisited” posted on 23rd April 2018 on the Energy Matters blog, see The Severn Barrage Revisited. 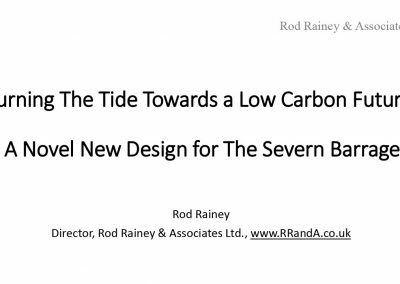 It was also presented at Bristol University as the 2017 Garrad Hassan lecture. 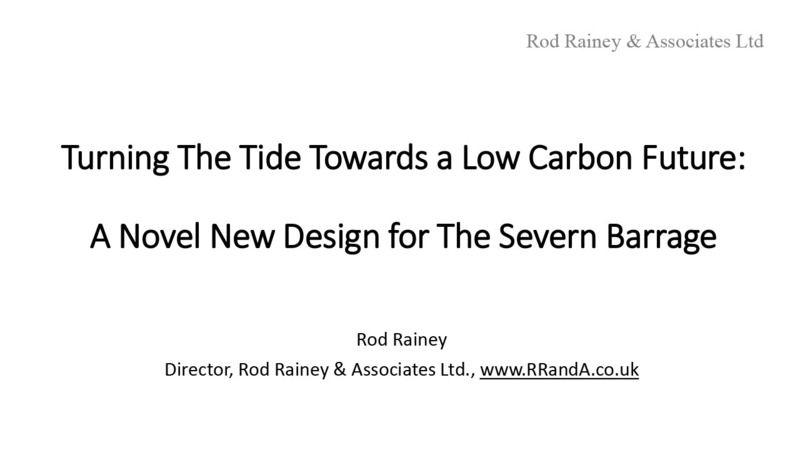 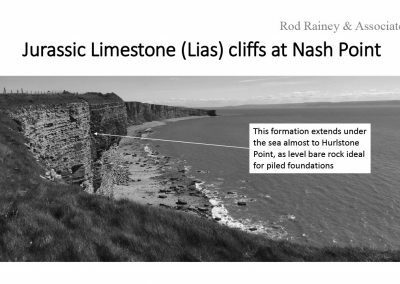 The slides from this lecture are shown below, and can also be seen on the Bristol University Website, together with a video of the lecture. 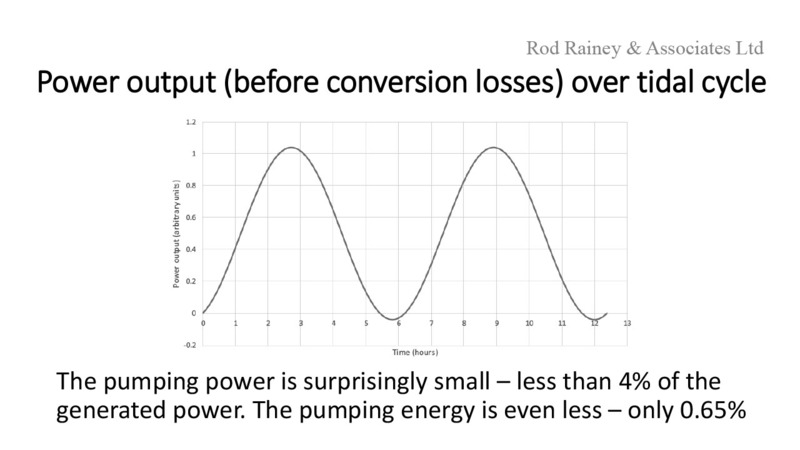 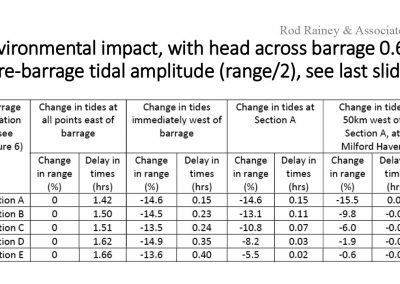 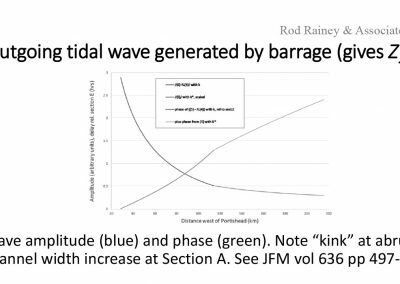 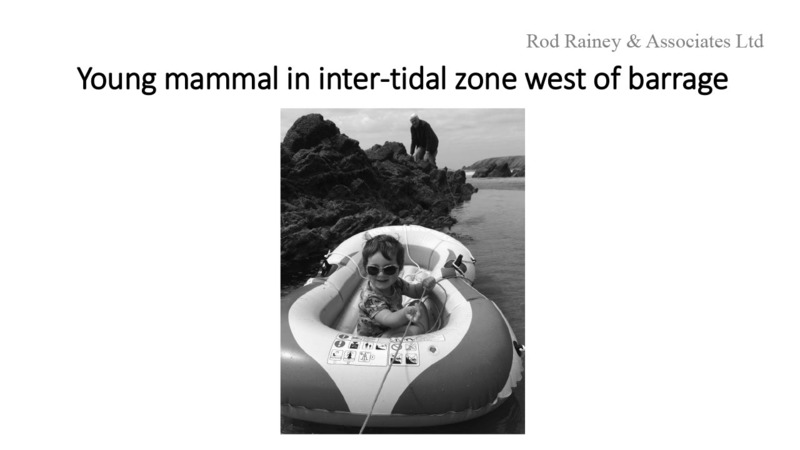 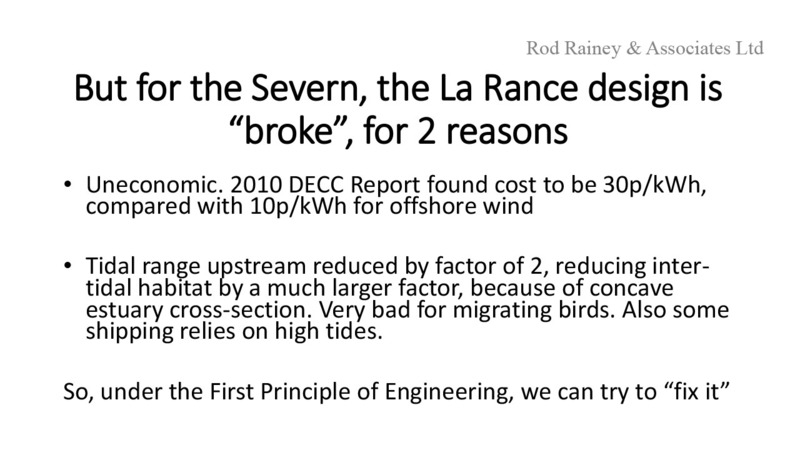 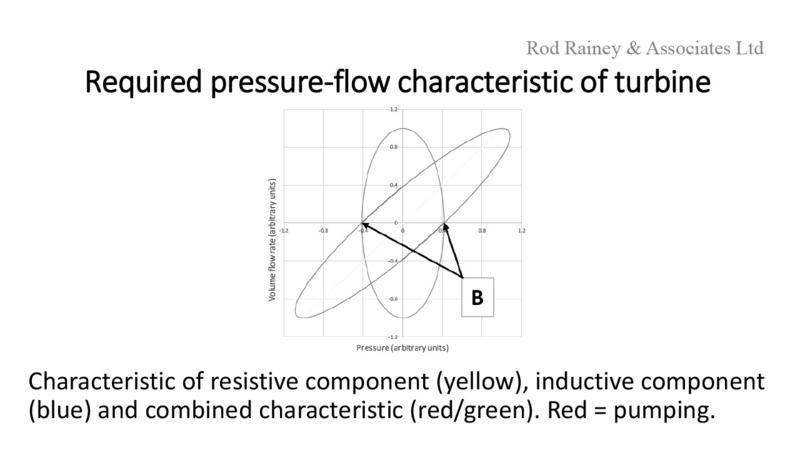 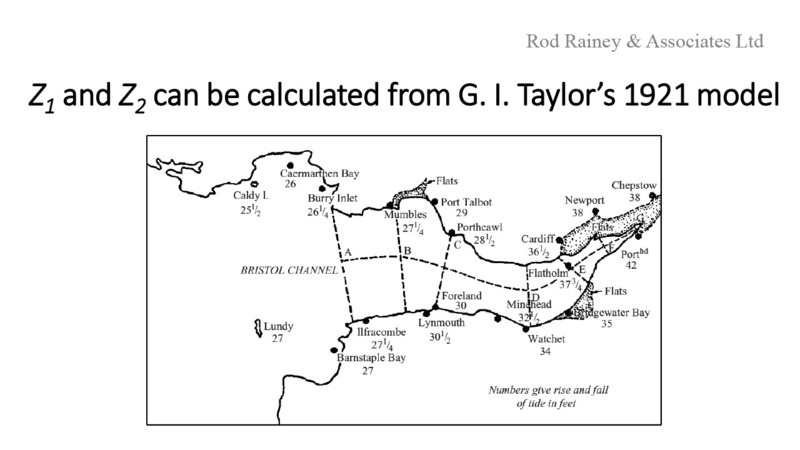 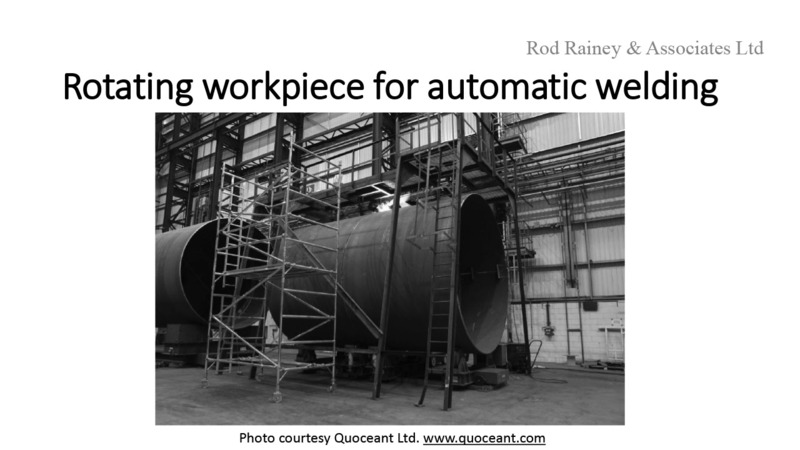 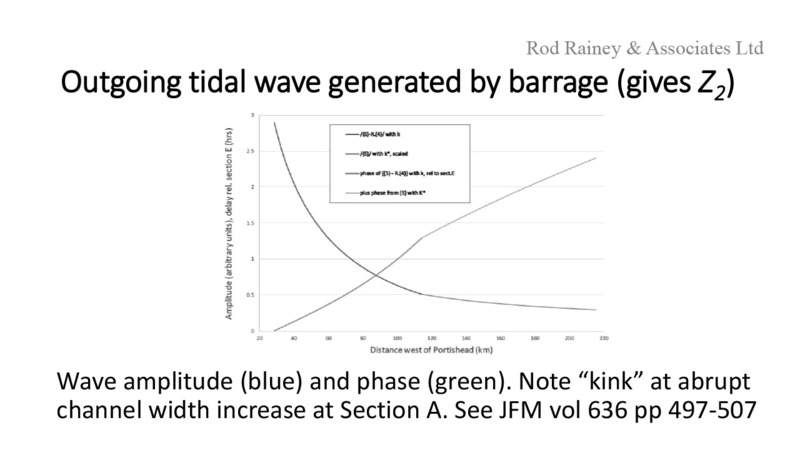 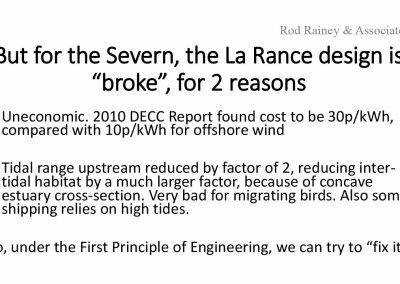 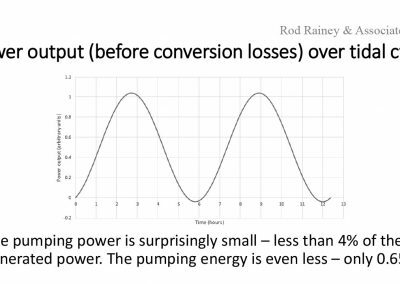 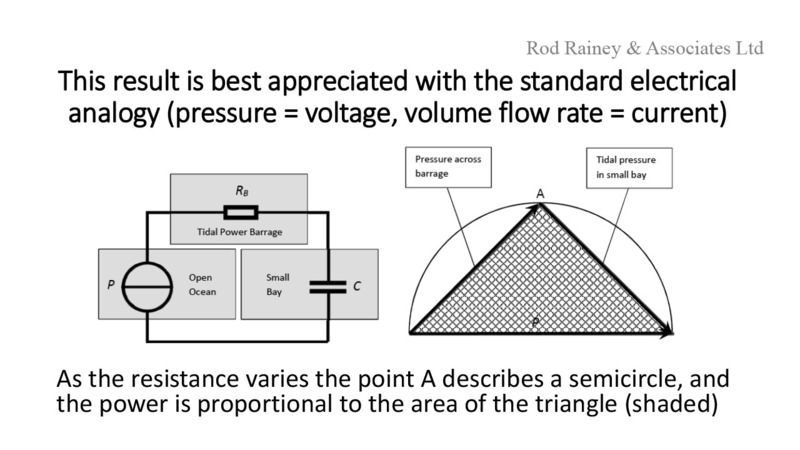 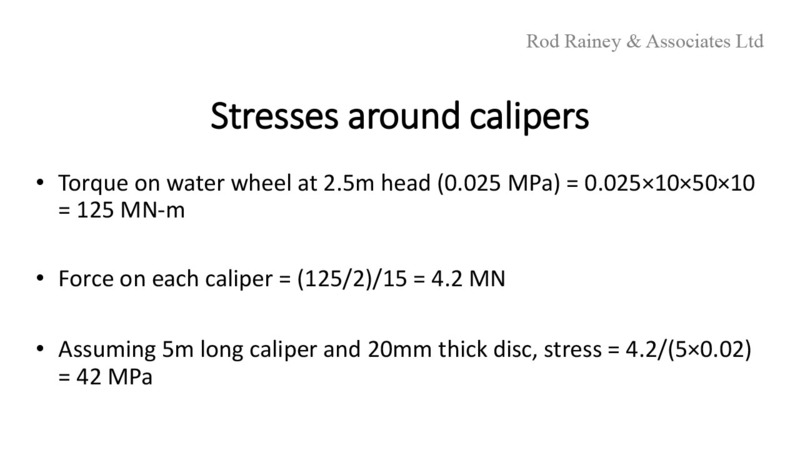 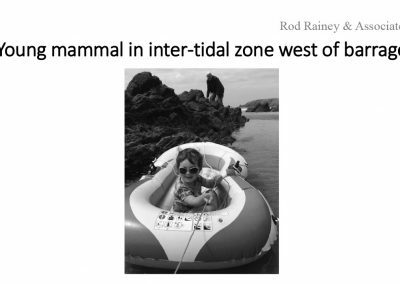 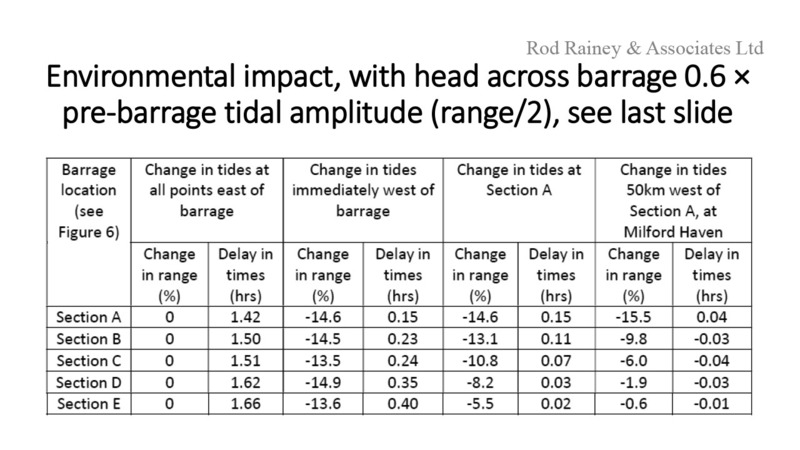 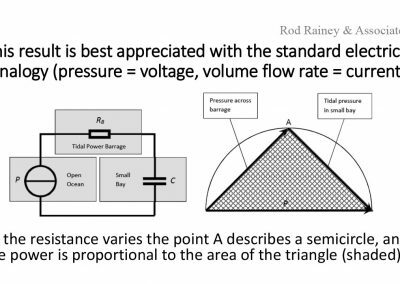 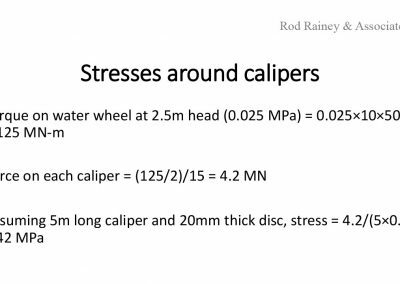 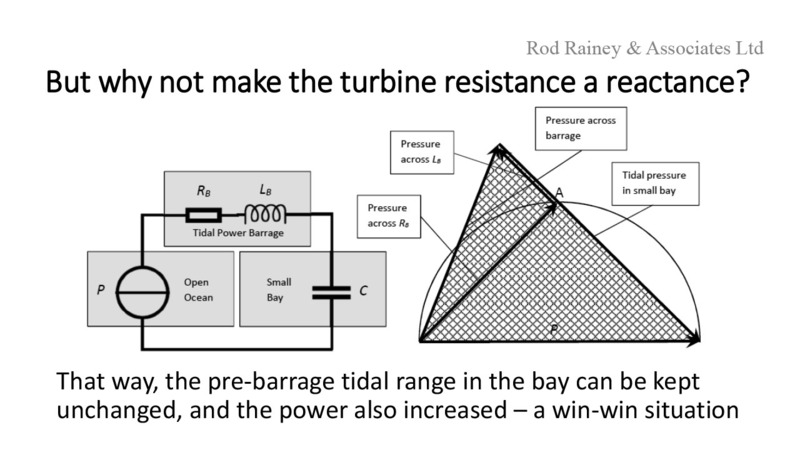 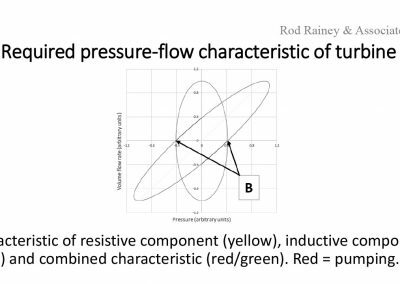 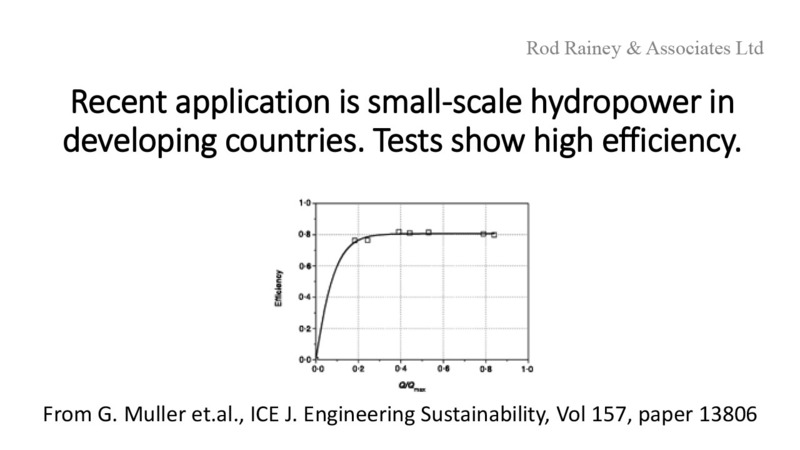 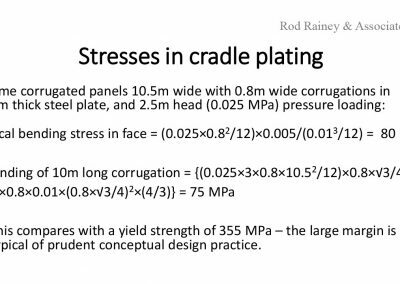 An earlier version of the lecture, without the pumping to maintain the tidal range, but with cost estimates, was given at Southampton University in May 2017. 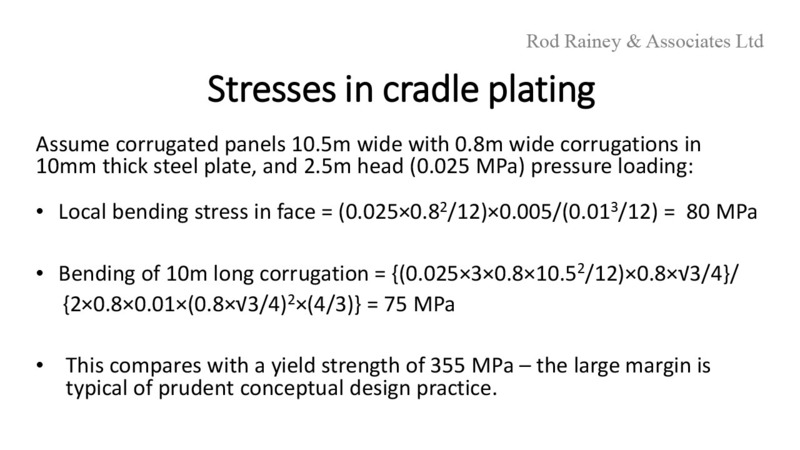 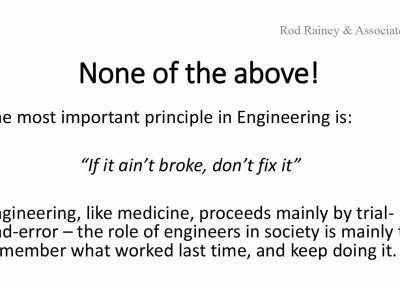 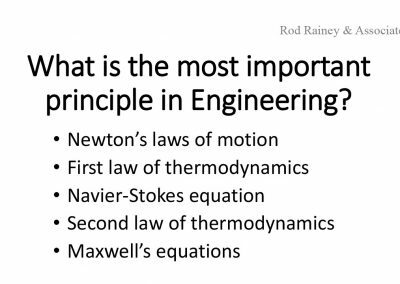 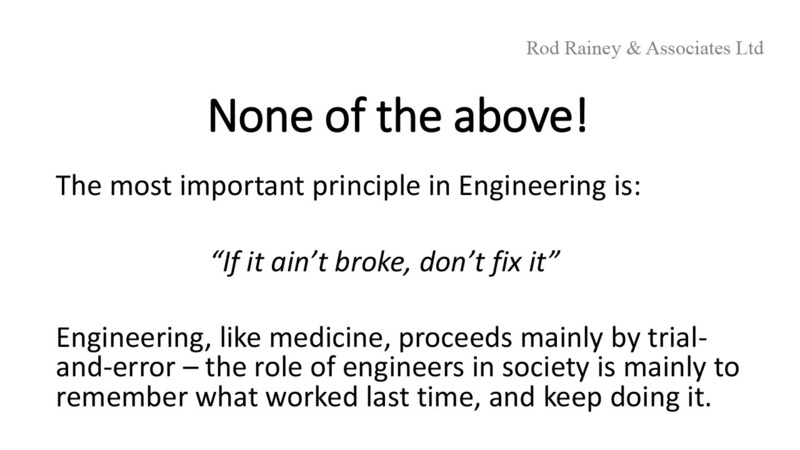 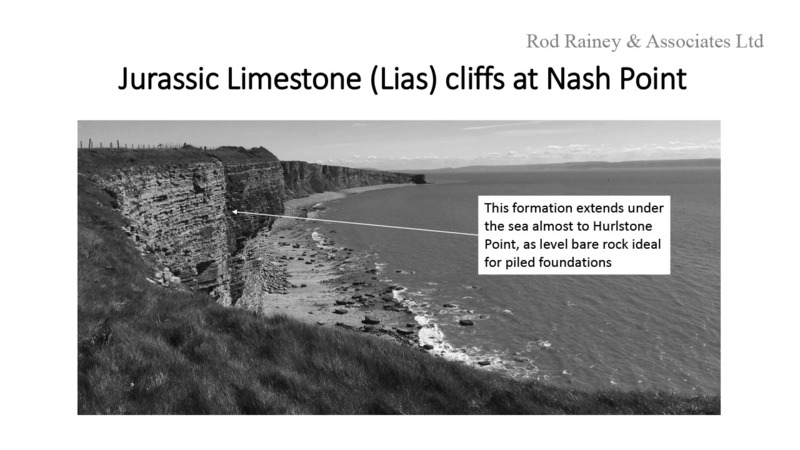 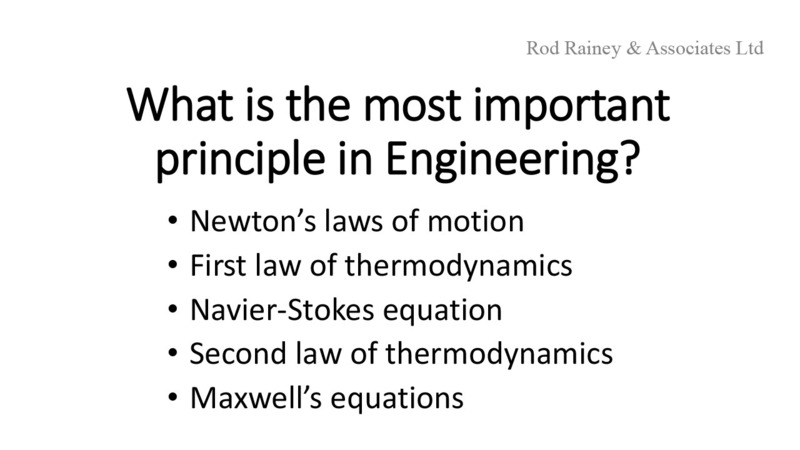 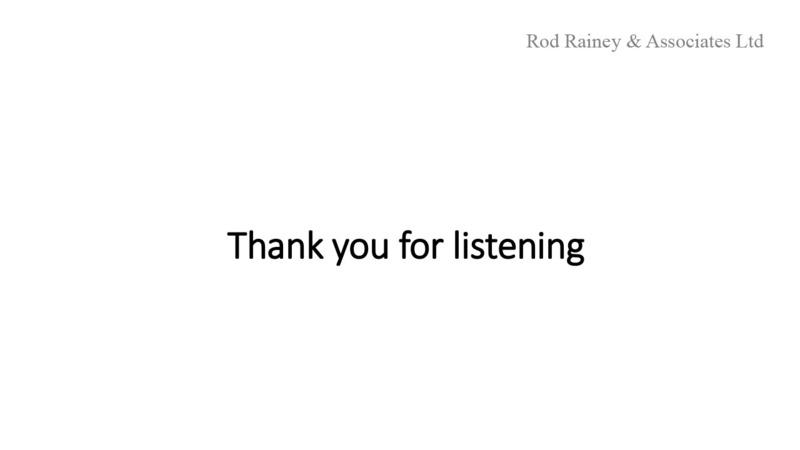 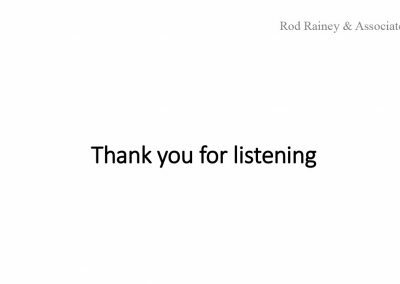 The slides are shown below, and can also be seen here, together with a video of the lecture.